I was taking drive to Leamington, Ont. this weekend in my lawyer friend’s car when our conversation took a turn towards the one topic that people ask you about lately when they know you’re a tech journalist – what do you think about RIM? They want to know what new bit of info I have on the company, and I – lacking anything new to add to what they have already read online – attempt to turn the tables on them and try to get them to voice out their own thoughts. My friend says he was among the many lawyers that Research In Motion began enticing with their first BlackBerry smartphone in the late 1990s and he has been sold on the device’s security and functionality ever since. He also thinks that dollar-for-dollar the company’s heavily discounted PlayBook is a better buy that Apple’s iPad and any of the many Android tablets flooding the market. I found this somewhat puzzling because the onboard media screen on his Mercedes SUV’s dash showed he was using a Samsung Nexus S and he had an iPad stashed in the pocket on his leather seat. AskingCanadians recently conducted a poll for ITBusiness.ca to find out Canadian’s smartphone preferences and what they thought about the future of the embattled national technology icon RIM. It seems the poll’s findings were dead on if you would look at my friend as an example – we love the idea of supporting RIM, but we find our fingers swishing and tapping on the screen of a different phone. The survey of 1,076 individuals from across the country showed that a majority of respondents (63. 4 per cent) believe that despite the dire prognosis, RIM is not going the keel over. When asked about how they feel about the company’s future, 25.7 per cent said they believed RIM has a “fairly positive future,” another 4.5 per cent said the company has a “very bright” future. Thirty three per cent said RIM will keep its current status. At the other end of the spectrum, 87 people or 8.1 per cent believe RIM will “eventually fail and 308 or 28.6 per cent said the company will decline further. BlackBerry’s position may not be all that bad. It’s third, but a pretty close third to Android and the numbers suggest that one in five Canadians would opt for a BlackBerry. Despite its leadership problems, marketing slip ups and fumbled product releases, I think the company smartphone users need not turn their backs on RIM. Even industry watchers who argue that the RIM has failed to keep up with the times and offer “sexier” products that would attract consumers aching for a more exciting smartphone often admit that the BlackBerry is a solid and reliable product. The core functionality that placed the BlackBerry on the top of the smartphone market before the touchscreen craze is still very much alive. Determine how dependent your operations are dependent on the BlackBerry infrastructure. If RIM where to fold tomorrow, where would your operations be? 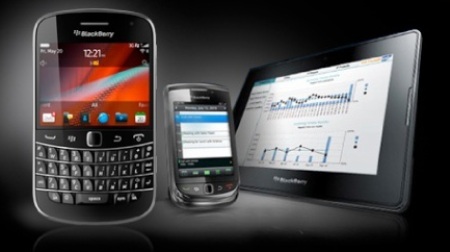 RIM still provides an excellent mobile communication platform for business users. The BlackBerry OS still offers better security that its competitors and provides IT admins with the tools they need to manage and mobile devices and enforce company network policies. But if you sense that change may be in the air, it’s best to carefully investigate your options and map out you mobile platform exit strategy rather than just jumping headlong into the current hottest handset. AskingCanadians™ is a full-service online data collection fir m dedicated to helping market researchers gather high quality information from Canadian consumers. We own and manage the AskingCanadians™ online research community, and its French counterpart Qu’en pensez vousMC, which includes a panel of more than 160,000 demographically representative and profiled Canadians who have opted-in to participate in online surveys that significantly influence today’s leading brands.